Two years ago my boyfriend bought me a little notebook to use whilst travelling and I loved it because it was so small and I could take it everywhere. Unfortunately because of work (freelancing) I am unable to read and edit properly on that little baby so I felt the need to get a proper laptop. My boyfriend has a Macbook Air and I tried it but realised quickly that I am a PC girl fo sho. 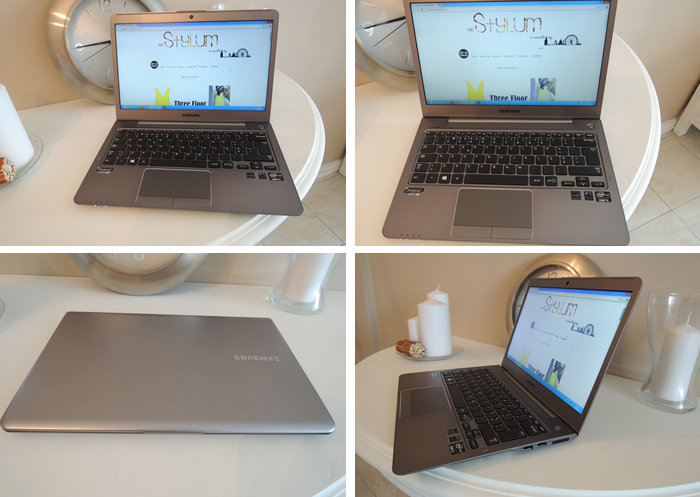 So after a hunt around I ended up getting the Samsung Ultrabook Series 5 and so far I'm loving it. It has very similar features to the Mac book but just without the Apple quirks that I hate. *This item was purchased with my own money and was not sponsored in any way (unfortunately). i love it . i bought the acer ultrabook a while ago which is really similar .. they're just so sleek and portable. great choice ! Have a very good ultrabook Shop blog. I really appreciate you for this good work keep it up. You can also find a very good Laptop Shop website at Acerstore.